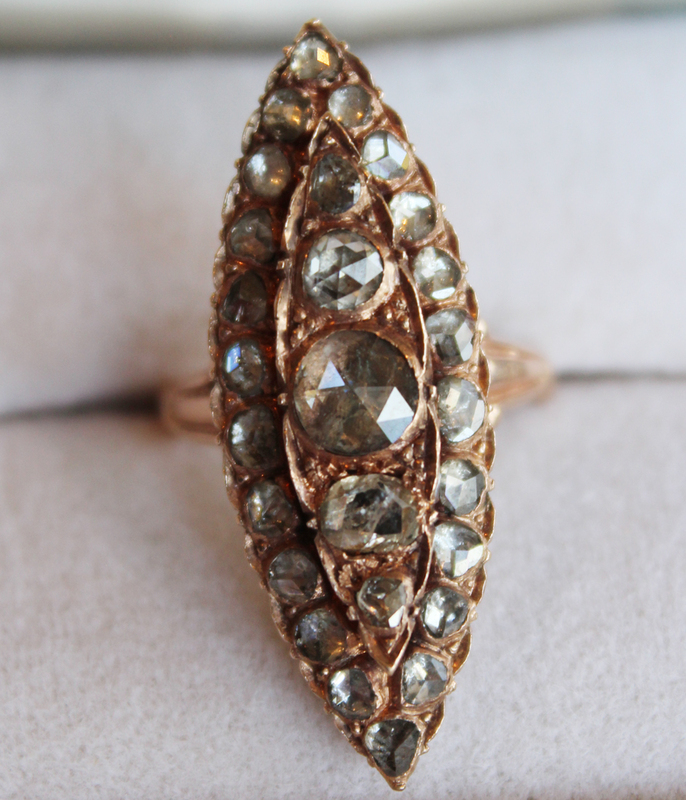 One of my favorite rings this Antique Georgian Foiled Back Diamond Ring Set in Rose Gold is just gorgeous! 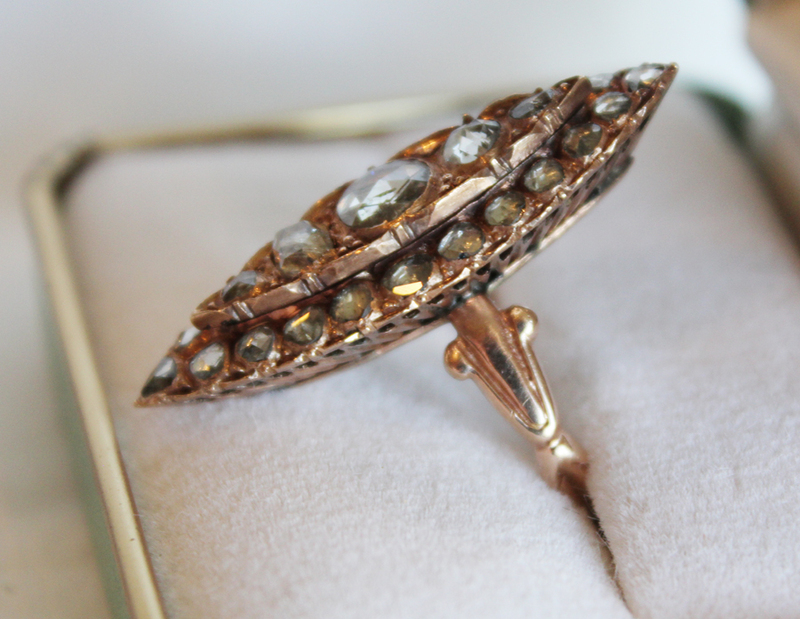 Dating to 1810 with rose cut diamonds. 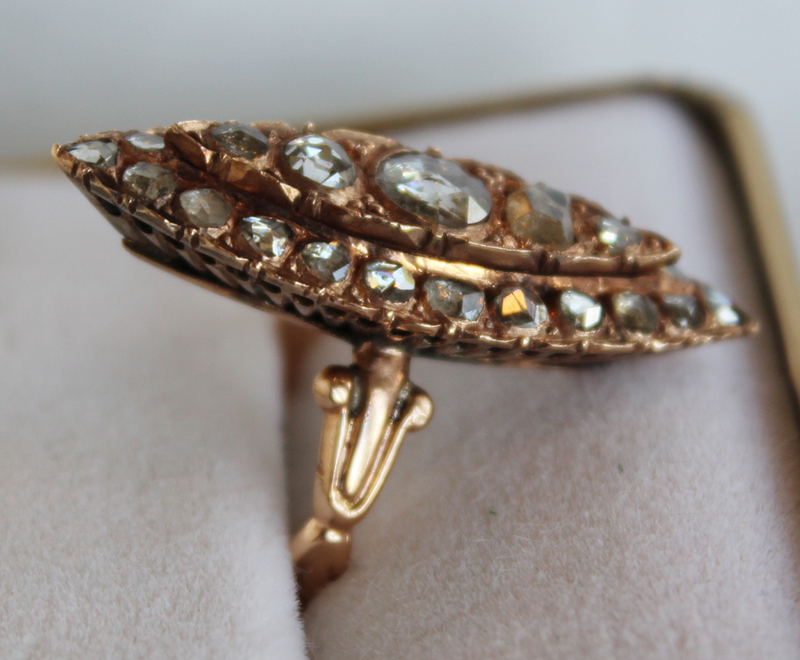 Rose cut diamonds were selected because they reflect the candlelit better at night.